MANILA, Philippines - Hallyu star Kim Hyun Joong won the best actor award at the 5th Okinawa International Movie Festival (OIMF) held recently in Japan. The Korean actor was honored for his music video "Lucky Guy," his first Japanese single. "I’m greatly honored to receive such an award. I watch many Japanese films. I’m hoping to be cast for many kind of film, especially action. The nationality of the film doesn’t matter. I would be happy to be in a Japanese film some day," said Kim Hyun Joong. He was honored under the festival's Creator's Factory project, which aims to uncover “the next generation of creative artists." 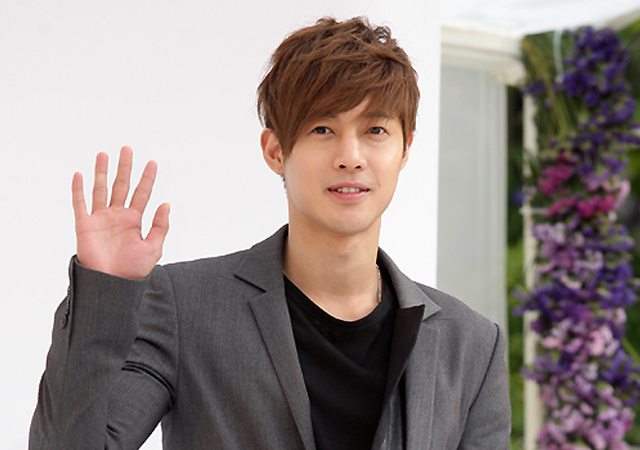 As part of his appearance at the festival, Kim Hyun Joong also performed songs before fans. Kim Hyun Joong recently finished his "Japan Tour 2013 Unlimited." The tour visited Japanese cities including Tokyo, Osaka, Fukuoka and Saitama. The 5th Okinawa International Movie Festival drew an attendance of 422,000, up from last year's 410,000. Jackie Chan's "Chinese Zodiac" won the Laugh Category Uminchu Prize Grand Prix and a cash award of 1 million yen (P437,574). "Wow! It's indeed good news and a pre-birthday gift to me. Thank you so much for this award, which is very encouraging. I'm so happy that you love 'Chinese Zodiac,' which I spent six years for preparation and one year filming. If you haven't yet got the chance to watch the movie at the 5th Okinawa International Movie Festival, it will be released in Japan soon, so please look forward to it. Thank you once again and I love you all!" he said. Taiwan's "The Happy Life of Debbie" won the Peace Category Uminchu Prize Grand Prix and 1 million yen. The Special Jury Prize/Golden SHISA Award went to "Barfi!" of India while Australia's "Mental" was given a Special Mention award. For the Pachinko Movie Award 2013, the grand winners are “Ultra 6 brothers Special Reach” for the Kyoraku Division, “The Morning of Bloodshed” for the Ippan Division, and “George Murakami’s Reach” for the Geinin Division.